So far I’ve rested the urge to change the name that appears under these posts to Dr David Winter, we’ll see how long that lasts. I’ve also been working a little on some more software for evolutionary biology. Since I very much aim this blog at a lay-level, and there is no reason on earth why a lay-person ought to care about the computer programs scientists use to collect and analyse their data, I’ve decided to set up a dedicated nerd blog. The first post their introduces an R library that can help researchers quickly download data from molecular biology and medical databases. Finally, I should say their probably won’t be a new post here this weekend either, as I’ll be at the New Zealand Skeptics Conference, right here in Dunedin. I’ll be giving a talk about how the the creation-evolution “debate” as it usually plays out has very little to do with evolutionary biology, and how getting past popular misconceptions about the way evolution works makes most creationist objections to evolution into non-starters. I’ll also say why I think good old fashioned creationism is a more respectable position than “intelligent design”, so that ought to be fun. If you’re in Dunedin you can still register for the whole meeting, my talk is on at 9:50am on Saturday in Archway 3 (the best, and perhaps only, way to find this lecture theatre is to walk into the Archway building and wander around opening doors at random). Congrats Dr. Winter! 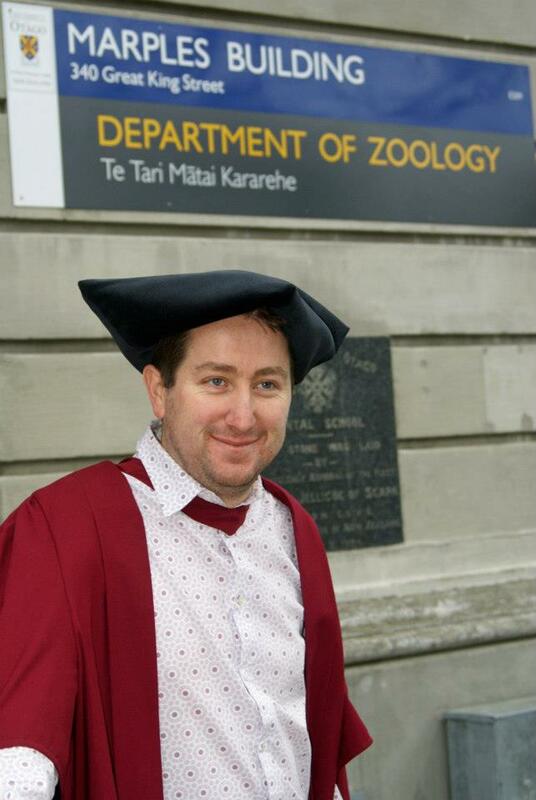 Of all the hats you wear as a scientist/blogger/nerd, that photo may show the silliest of them, but also the one you should be most proud of. Good luck with all that’s to come. Thanks Morgana and… “guest work” (Peter? ).